In the course of armed conflicts in South Sudan more than 1.1 million people have been internally displaced since December 2013. In the frame of a cooperation with Médecins Sans Frontières (MSF) Z_GIS is monitoring one of the many camps for internally displaced persons (IDP), which have been established since. The department acquired four WorldView-2 images for the IDP camp Minkaman, Awerial county, Lakes State, between December 2013 and June 2014. The number of extracted dwellings increased from around 2,000 in December to nearly 14,000 in June. Besides information on single dwellings, dwelling density, camp structure and camp growth analyses were provided to MSF. This information helps MSF in the mission planning to calculate the need for water, food, medication and staff. The regular monitoring of population movements is especially crucial due to the outbreak of Hepatitis E within the camp. Further updates are planned for end of July and end of August. Since beginning of this year, the population estimation service has been also requested for a second IDP camp in South Sudan, a refugee camp in Kenya and a rural settlement in the Democratic Republic of the Congo (DRC). The service groundwater exploration, which provides potential groundwater borehole sites based on EO data and ancillary information (geological maps, hydrogeological maps etc. ), was applied for a refugee camp in Ethiopia, hosting refugees from South Sudan. 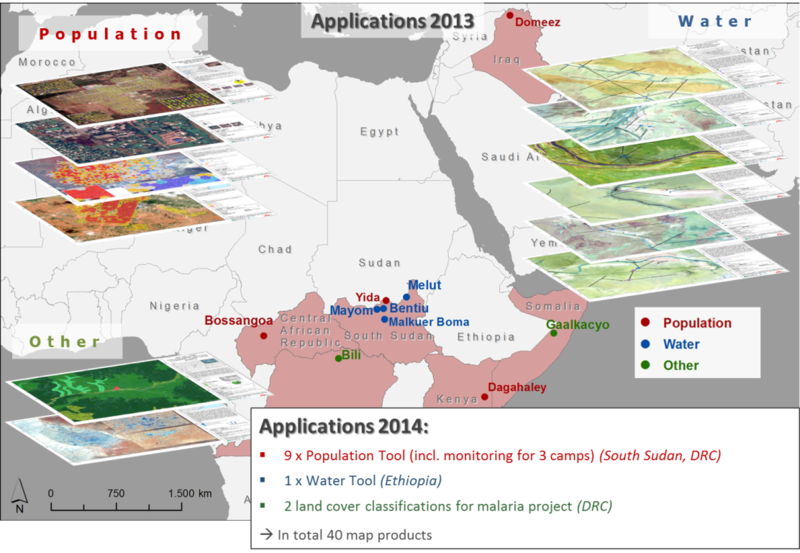 MSF also requested information regarding land cover for a rural area in DRC in the frame of a malaria project. Z_GIS produced a total of 40 maps for MSF so far this year. The activities are carried out within the project EO-based information services in support of humanitarian operations, funded by the Karl Kahane Foundation. 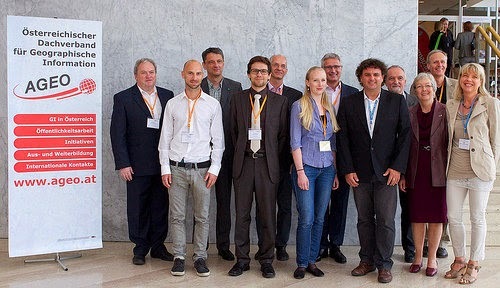 The services are further improved within the EO4HumEn project, funded by the Austrian Research Promotion Agency (FFG). 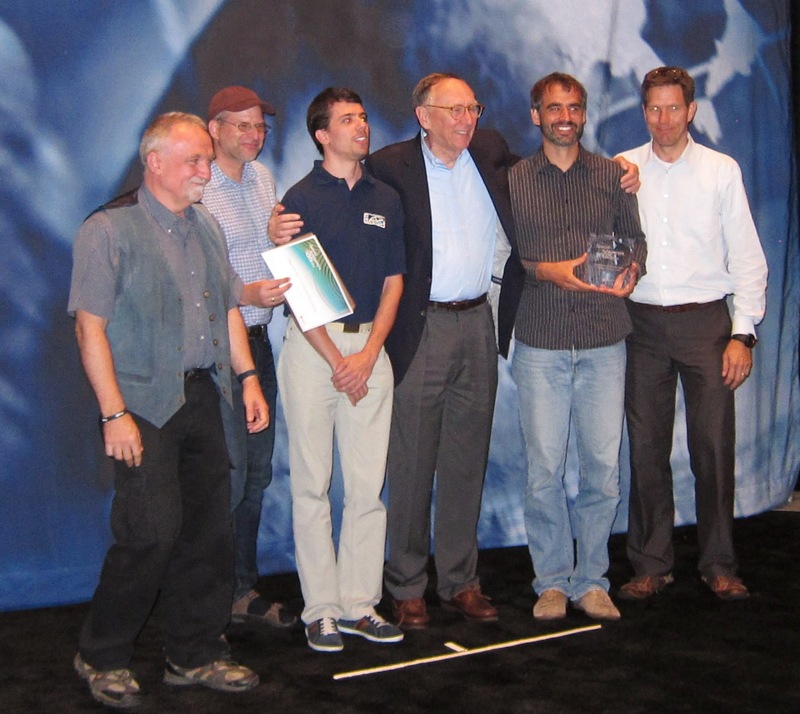 At this year's international ESRI user conference in San Diego, the Department of Geoinformatics was recognized with the 'Special Achievement in GIS' (SAG) Award. This honour is bestowed upon institutions for special merits in the fields of GIS, Geoinformatics and related applications. 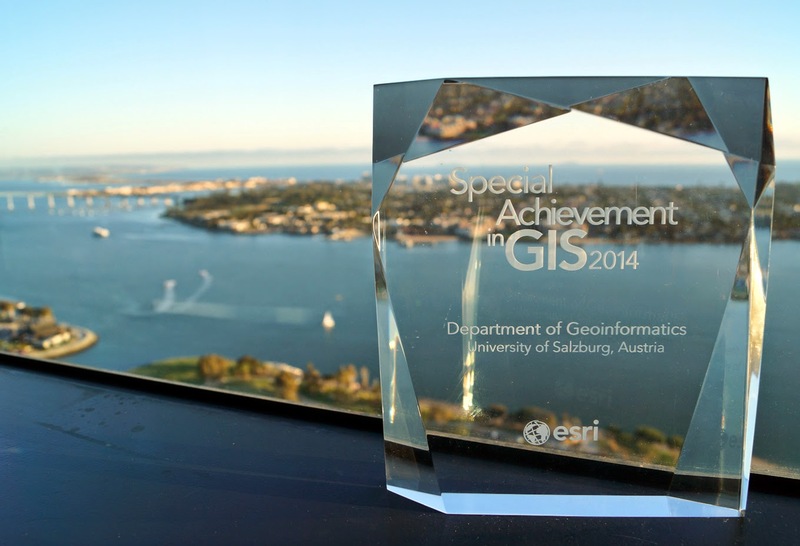 Z_GIS has been selected as a 2014 award recipient for outstanding contributions to GIS education worldwide. With thousands of alumni and hundreds of current students, Z_GIS has a unique impact on capacity building around the globe. The highly recognized UNIGIS MSc and certificate qualifications distinguish graduates as top professionals in Geoinformatics. We are proud and grateful for receiving this distinction! 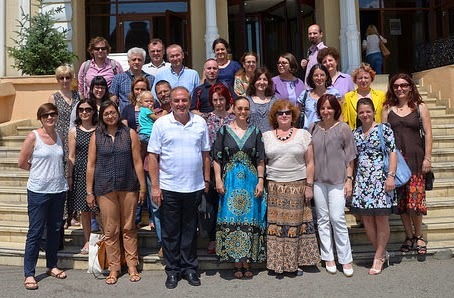 The Comenius project Education for Spatial Citizenship (SPACIT) coordinated by Z_GIS piloted from July 8-10 2014 an in-service teacher training course in co-operation with Colegiul Naţional Iaşi, Romania. communication and reflection and geomedia technology were tested and evaluated by 28 teachers from Romania and Germany as well as the project team. Two University of Salzburg ESRI Development Center award winners this year have the chance to participate in the ESRI San Diego conference week. Caroline Atzl (2013) and Bernhard Vockner (2011), both now junior researchers at iSpace Research Studio in Austria, were congratulated by ESRI Director of Education David DiBiase. Their theses submitted at the Department of Geoinformatics - Z_GIS were graded with excellent marks and shared the common denominator of advanced application development for mobile use cases, addressing the domains of environment and situational awareness. In accordance with the motto “Geospatial Innovation for Society”, around 1100 participants from 40 countries attended GI_Forum and AGIT 2014 to exchange information on the latest trends in technological, analytical, societal and educational domains. This year 81 contributions were selected by the Programme Committee to be presented in oral and poster sessions. The Programme Committee chairs, Adrijana Car and Thomas Jekel, are very pleased with their quality: “The quality of papers presented this year was excellent. The reaction from the delegates and keynote speakers showed that GI_Forum has become an annual event that bridges the gap between technical development and academic research and their application for society." into an online journal, and measures have been taken for its indexing in relevant channels. The AGIT EXPO offered a platform to 60 exhibiting companies to demonstrate the latest development trends in GI technologies and services. The stalls and events at and around the EXPO were intensively visited by the conference participants. The four excellent keynote speakers - Andre Skupin, Christoph Schlieder, Michael Gould and Diana Sinton - linked in the overall conference topic and showed how GI research and development may support society, linking academic endeavour and societal needs. This year (a) the Comenius project SPACIT, (b) participants of a workshop on linked open data as well as (c) initiatives for use of GIS in health and education shared their insights at the GI_Forum. In the Young Researchers’ Corner young scientists met the keynote speakers in an informal atmosphere, discussed their research and received impulses for their further academic careers. The GI_Forum is jointly organized by Z_GIS, the Commission for GIScience at the Austrian Academy of Sciences (OeAW-GIScience), and the Department of Sustainable Tourism and Regional Development at the GUtech Muscat, Oman. The interdisciplinary GI_Forum has become an annual event for a vibrant GI community representing academia, industry, government, and education to advance the dialogue on progress in GIScience and to explore new research directions. The symposium is co-located with the highly regarded annual German language AGIT conference. Three faculty members from the Royal University of Bhutan (RUB) are currently visiting Z_GIS for a faculty development workshop from 7th to 18th July, 2014. The workshop is being conducted within the framework of the joint research project 'Developing a Geospatial Methodology to Assess Climate Change Adaptation Strategies for Traditional Economy in Bhutan (GeoM-4-CCAS)'. The project is coordinated by Z_GIS and the 2 constituent colleges of RUB partners in this project are College of Natural Resources (CNR), Lobesa and Sherubtse College, Kanglung. The project is co-funded by the Commission for Development Research, Vienna, Austria and supported by several organisations in Bhutan and Nepal. Three distinguished faculty members, Mr. Ugyen Thinley, Ms. Ugyen Yangchen and Mr. Sangay Dorji are taking intensive training in processing and analysis of various types of geospatial data as well as learning spatial modelling and scenario generation for assessing the impacts of climate change on the traditional economy and sustainable development in Bhutan. Hydrological impact assessment is usually conducted by coupling stochastic weather generation with hydrological modelling. Stochastic weather generators simulate synthetic weather data while maintaining statistical properties of the observations. They are typically used when the observation time series are too short or when multiple synthetic realizations of the observations data are required for uncertainty or extreme event analyses. Furthermore, stochastic weather generators can be parameterized to simulate the impact of climate change. Similar to a large variety of hydrological models, numerous types of stochastic weather generators of different levels of complexity are available. This brownbag will give an overview of various applications of such tools, thereby addressing the following topics: - What is the idea behind stochastic weather generators and what type of models do exist? - What types of hydrological models are available? - What is the best model choice for hydrological impact assessment (e.g. flood hazard assessment)? - How can the impact of climate change be simulated with such tools? At the AGIT opening session, AGEO president Peter Skalicky-Weichselberger presented Z_GIS alumna Eva-Maria Schönauer with the 3rd price in the annual AGEO Award competition. With this award, the Austrian Umbrella Organisation for Geographic Information highlights the best Master theses in Geoinformatics or related subjects at Austrian Universities. 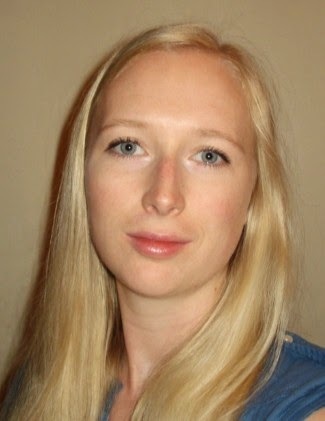 Z_GIS congratulates Ms Schönauer to this impressive achievement and recognition of her thesis titled "Homogenisierung von Stromnetzdaten für INSPIRE". Congratulations as well to equally ranked first price winners Andreas Partusch (FH Technikum Wien, Intelligent Transport Systems) - "Monte Carlo Simulation for the evaluation of routing results concerning their spatial distribution and variation" and Christoph Schlager (Technische Universität Graz, Institut für Geoinformation ) - "Interoperabler webbasierter Zugriff auf heterogene Sensordaten". Watch out and be prepared for next year's AGEO Award announcement!